Leather and stainless steel bracelet. Wrap around the wrist three times, around the ankle twice or around the neck once, this is a versatile thong! 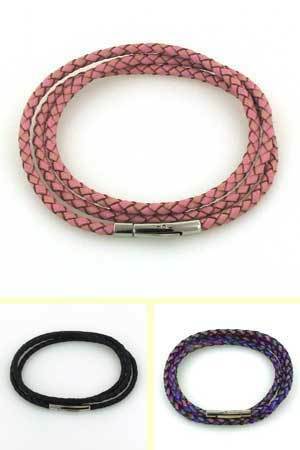 Plain and elegant, this 3mm leather plait is finished with a stainless steel rocker clasp.